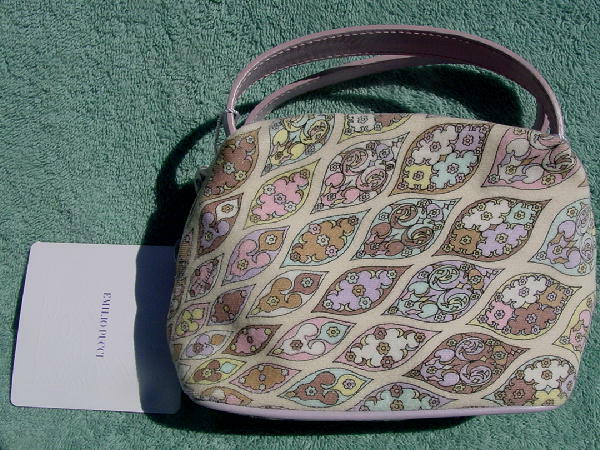 This never-used little Emilio Pucci purse can also be used as a makeup bag. 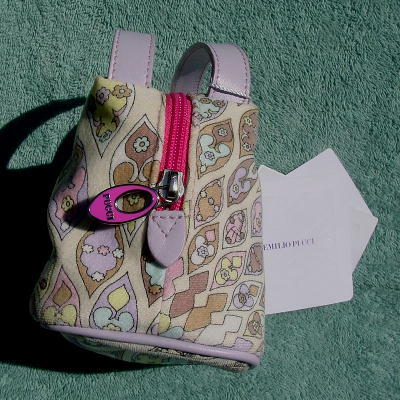 It has a soft brushed cotton surface with 100% calf leather pale purple handles, bottom cording, and interior oval tag with Emilio Pucci Genuine Leather Made In Italy in silver-tone letters. The top side to side hot pink zipper has a leather tab on each side of it. 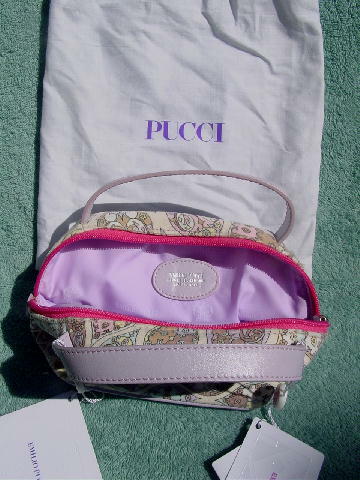 The silver-tone metal zipper pull has a rose-pink color with Pucci in elevated silver letters. It has a creamy bone background with a design pattern in peachy-pink, light brown, camel, pale yellow, pale aqua-seafoam, and pale purple. 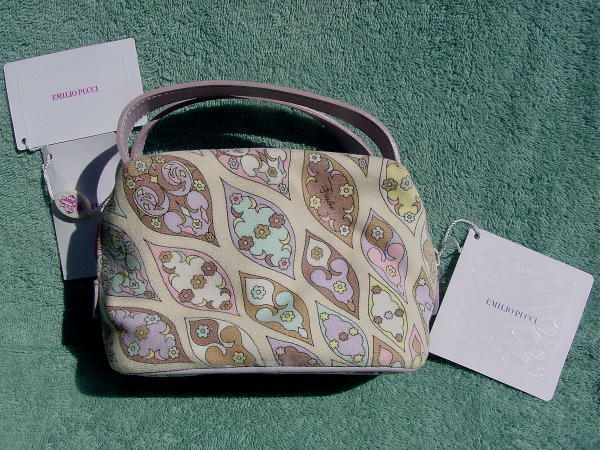 The 100% polyester lining is in a light pinkish-orchid with Emilio Pucci and the logo in white all over it. The design pattern is smaller on one side. Both sides have Emilio written in black letters on one of the designs. A stylist sold her personal collection.